Item # 319644 Stash Points: 3,595 (?) This is the number of points you get in The Zumiez Stash for purchasing this item. Stash points are redeemable for exclusive rewards only available to Zumiez Stash members. To redeem your points check out the rewards catalog on thestash.zumiez.com. 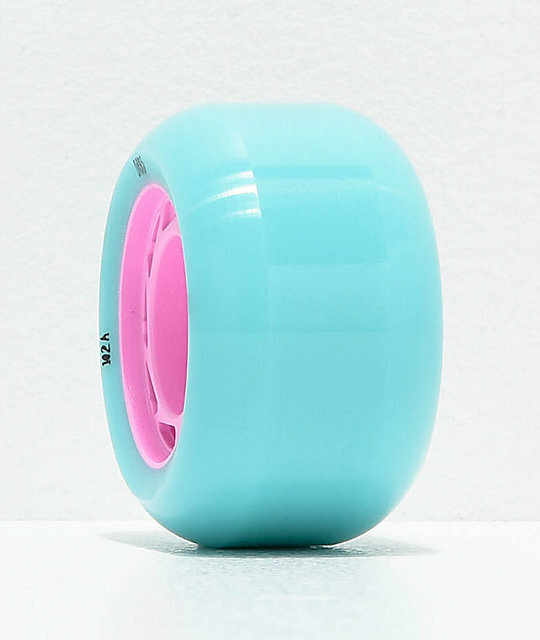 Cut weight and add speed to your set up with the Orbs Wheels Ghost Lites Blue & Pink 54mm 102a Skateboard Wheels. 54mm in size, these wheels carry speed excellently, while their hollow core makes them 15% lighter than other wheels their size. Finished off with a 102a durometer rating for long but controllable power slides, these wheels are sure to liven up your ride. 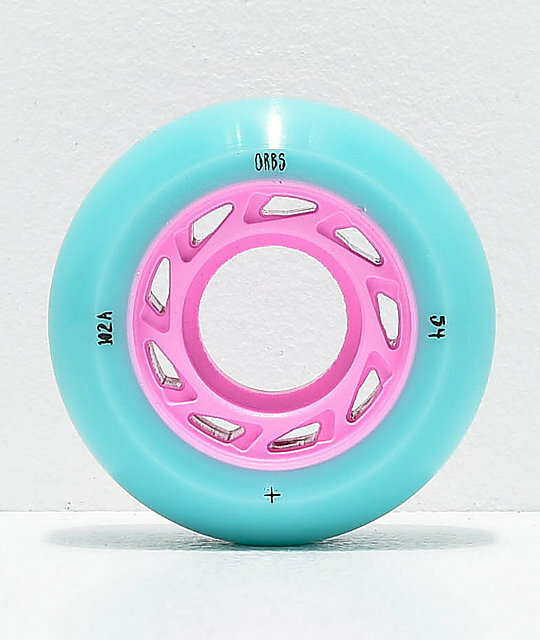 Ghost Lites Blue & Pink 54mm 102a Skateboard Wheels from Orbs Wheels. 54mm sizing and 102a durometer rating. Hollow core design for lightweight performance, 15% lighter than similar wheels.